Battery Holders | UK Electrical Distributors – E. Preston (Electrical) Ltd. 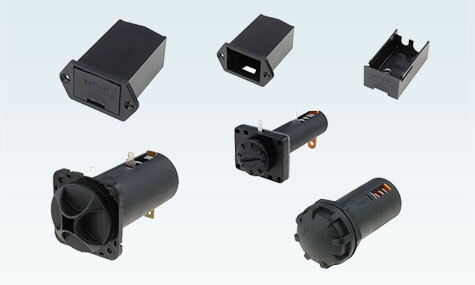 Battery holders for various battery sizes, capacities and mount types. As an official distributor for brands like Bulgin, we have access to hundreds of battery holders suitable for a wide range of applications. We have worked hard over the years to build and maintain good relationships with our network of suppliers, allowing us to source thousands of quality components at competitive prices. Products are dispatched from our UK warehouse facility and we endeavour to maintain appropriate stock levels — meaning we can get your order to you quickly. If you are looking for a very specific product or if you have a technical question, you can speak to one of our dedicated reps in person. You can buy battery holders online by clicking the link below. Alternatively, you can speak to our dedicated sales team on +44(0)161 339 5177. Fill in your details to request a call from one of our sales representatives. © E. Preston (Electrical) Ltd 2019. UK distributor of electrical and electronic components.